Once upon a time, JS came home with some oxtails. What to do, what to do? Of course, we love making a simple soup with them in the style of bulalo, or making a taco night out of it with a shredded beef filling (tripe optional), or making the always fantabulous kare-kare (Philippine Oxtail Peanut Stew). In the end, we decided to try something new. 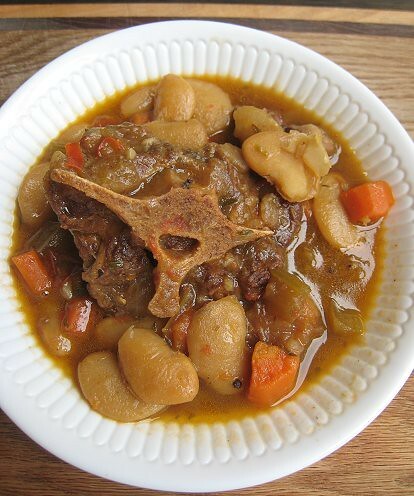 How to make a stew Jamaican? I guess by adding allspice and thyme? 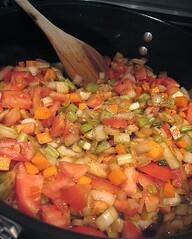 We also used lima beans in this Jamaican stew. First of all, some lima beans soakage. Then, here's how it went down. 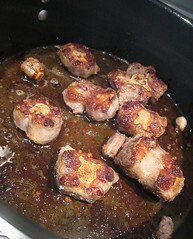 Browned oxtails: done and set aside. 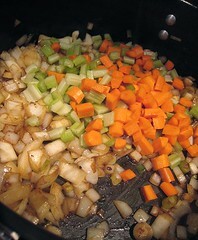 Into the pan: onions, carrots and celery. 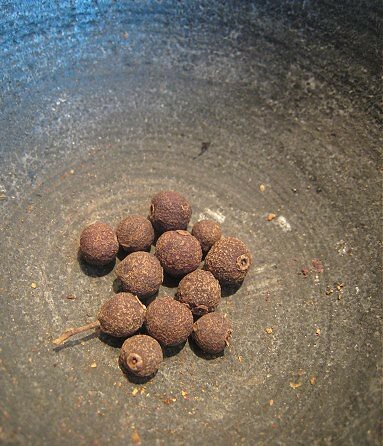 Some tomatoes too, and the ground allspice. 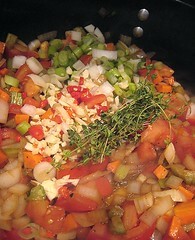 Plus: chili/hot peppers, garlic and thyme. 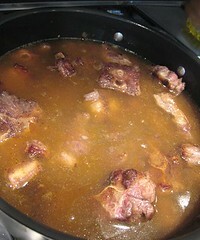 In: browned oxtails and stock. The whole lot just had to simmer for a few hours until the meat was tender. 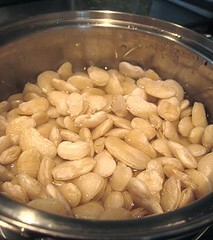 While that pot was cooking, we drained the lima beans and cooked them in some water. They were added to the stew in the final 30 minutes or so. I suppose you may want a proper recipe for this dish? Unfortunately, we -- meaning JS -- didn't keep track of our quantities. But, fear not! Why not head over to Choosy Beggars and let Tina show you how it's done! 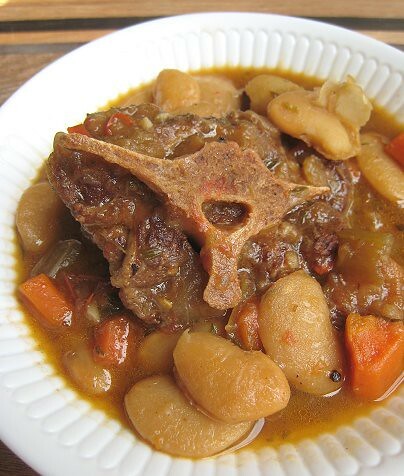 Oxtail stew is one of my fav no-stress dinners. I love this Jamaican version! Thanks for sharing. Thanks for the shout out! I think your dish looks fabulous, and I love that you used dry lima beans (so much better than the canned or frozen that the likes of lazy ol' me revert to!) which would have lended so much texture and probably thickened it as well. 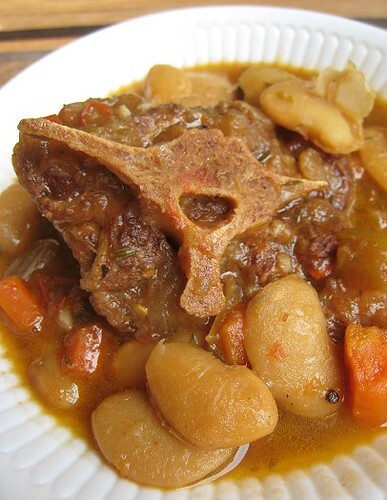 Mmmm....oxtail. 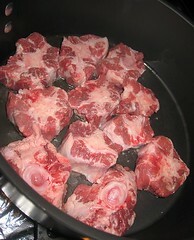 There must have been something oxtail in the air last week, because I'm writing up an oxtail post as we speak! Looks so hearty! I hope to get my hands on some more oxtail soon! Yeah, I figure I wanted more heat. Alas, it had to feed the entire household, little kiddies included.